Excellent question! We truly strive to enable you to have the best experience in our office as can be delivered. Dr. Rogers will provide you with the best possible dental treatment for yourself, and his friendly experienced support staff are here to guide you through the process in a smooth comfortable manner. From the first phone call to your actual treatment, including insurance questions or anything else that may come to mind we are always available for your questions or concerns. I can’t tell you how many patients have told me how they wished they’d come to see me earlier, as the pain caused by a toothache, was far more severe than the eventual dentist visit itself. Once you establish a trust with your dentist, the fear of dental treatments diminishes and fear is usually eliminated or replaced with a lesser all-consuming nervous anxiety just before an upcoming visit. About Dr. Derek Rogers, D.M.D. 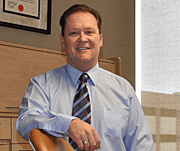 Born and raised in Swift Current, Saskatchewan, Dr. Rogers has lived in Red Deer since 2000. He graduated with his Doctor of Dental Medicine (DMD) degree from the College of Dentistry, University of Saskatchewan in 1984 at the age of 24. After graduation Dr. Rogers began his career in Rosetown, Saskatchewan. From there he has practiced in Weyburn and Kindersley before moving to Red Deer in 2000. Dr. Rogers is married to his wife Susan. They have three sons and one grandson. Dr. Rogers enjoys playing his bagpipes, skiing (water and snow), curling, fishing and camping. 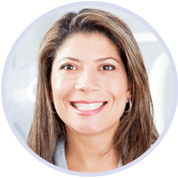 Dr. Rogers is a general dentist who enjoys all aspects of dentistry. He has a particular interest in implants, not only for their ability to replace missing teeth but how they can improve the quality of life for patients with dentures. Using modern cosmetic dentistry techniques, the often dramatic improvement in fit and comfort that an implant treatment can provide patients is remarkable. Dr. Rogers is a graduate of the University of Saskatchewan and has 26 years of experience treating patients in both Saskatchewan and in Red Deer, Alberta. Because technology is constantly changing and improving Dr. Derek Rogers continues to attend on-going training to ensure his techniques are up-to-date. 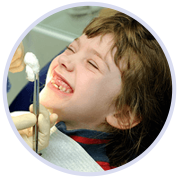 Dr. Rogers as a family dentist sees children of all ages, as well as their parents.